Join Tiny World Tours on a unique Expedition that will explore the city’s history through the politics of architecture and public spaces accompanied by rich experiences in the arts and cultural scenes. 2019, the Bauhaus 100th anniversary year, is the occasion of numerous unique art, architecture, and design events and exhibitions. This tour will be specially curated to compliment our “Through Artist's Eyes: Deborah Hay at Berlin's Tanz im August Dance Festival” tour, and will involve walks and unique insider / behind-the-scenes experiences. A particular focus will be on Modernist buildings from the 1920’s that define Berlin. Please join us! On August 11th our tour begins at 2 PM with an overnight excursion to Dessau, the former East German city most closely associated with the Bauhaus, where the school was active for the longest period of time, 1925–1932. Most of the Bauhaus Dessau buildings we will see on this tour are considered icons of 20th century architecture. We will have dinner in the legendary Kornhaus Restaurant (1929-1930, by Carl Fieger) overlooking the Elbe river. We will spend the night sleeping in simple rooms in the historic studio building (also known as the Prellerhaus) completed in 1926. The next morning (April 12th), we’ll visit more Dessau buildings, returning to Berlin via afternoon train. We’ll check into our hotel, and have the rest of the evening on our own. On August 13th we’ll enjoy a private tour of the meticulously restored 1920’s residence “Taute’s Heim” (Taut’s Home) by one of its owner/restorers who will also lead us on a tour of the UNESCO-recognized horseshoe-shaped Hufeisensiedlung 1920s housing estate where it is located. 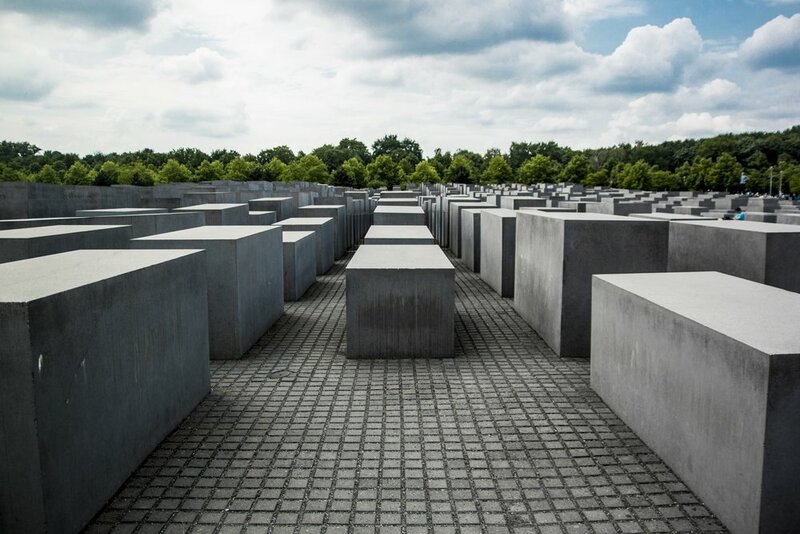 On August 14th and 15th we will explore a variety of Berlin neighborhoods such as the Parliamentary District, the new Museum Island, a cut through the inner city along Friedrichstraße, Central East / City West, and Karl-Marx-Allee / Hansaviertel. On the evening of Thursday night, August 14th, we’ll experience “Street Food Thursday” at Markthalle Neun in the Kreuzberg neighborhood. This tour will help you understand and enjoy the fascinating and complex history of this world capital, and help you contextualize many of the other cultural delights you will also experience while you are here. Note: We will be delighted to advise you regarding a possible pre-tour early arrival or post-tour itinerary extension. Please advise us of your interest. EARLY BIRD DISCOUNT $250 IF REGISTRATION AND PAYMENT IS COMPLETED BY MAY 31st. Guests are responsible for their own airfare.